In order for North Carolina Wesleyan College to accommodate its continuing growth, it requires significant resources. Although enrollment continues to increase, tuition alone cannot support the cost associated with delivering a world-class education. Every gift, regardless of the amount, helps to create a unique and rewarding NC Wesleyan experience for our students. Thanks to your generosity, you help make a difference at Wesleyan! Your gifts don’t only help keep the lights on, donating to NC Wesleyan helps in many ways including funding academic programs, maintaining facilities and helping enhance students’ overall college experience. Use our convenient link to determine if your employer participates in the matching gift program. Matching gifts increase the impact of your gifts. These gifts continue support for programs, facilities, students, staff or faculty in perpetuity. The minimum corpus is $10,000 to establish an endowed scholarship, but you may also build the corpus over time if desired. 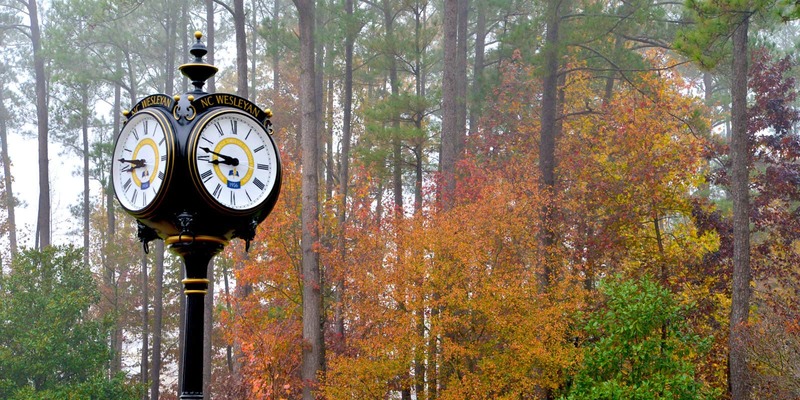 Allowing you to continue enjoying your present lifestyle, level of income and financial security, planned gifts help to ensure your support of North Carolina Wesleyan College now or at a future date. Contact our Office of Advancement for more information. Support your passion at NC Wesleyan. By designating your gift you can make an impact to a specific area that you are passionate about. There are so many opportunities where you can make your mark at NC Wesleyan. Begin with your impact today.